This combine of kundan bangles has been embellished with stunning inexperienced shaded stone work set in an exceedingly distinctive pattern on high of the metal base of 3 coaxial circles made of gold plated brass. 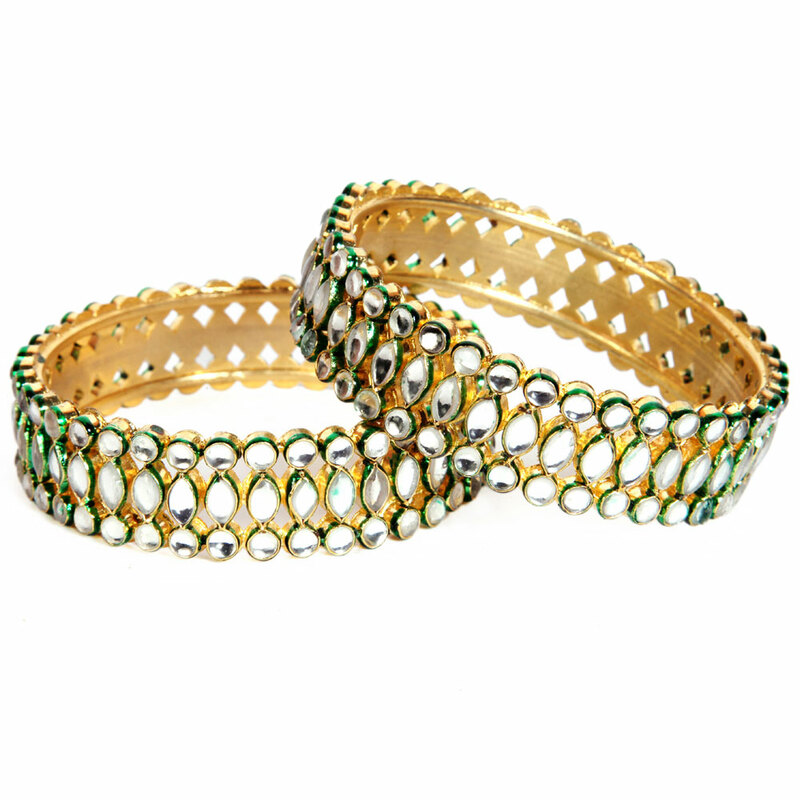 This pair of kundan bangles has been decorated with beautiful green shaded stone work set in a unique pattern on top of the metal base Read More..of three concentric circles made from gold plated brass. The elaborate design provides a wide look to the bangles, available in three different sizes. Show Less..